To view the rationale click here. Click here to see the structure of the annual exam paper as prepared by the Education Assessment Unit for Form 3, Form 4 and Form 5. The areas of study which should be given priority for the Annual Examination for Forms 5 which is held during the month of February are available here. 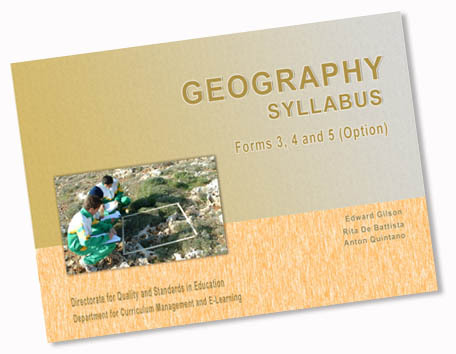 Assessment criteria for the marking of the Geographical fieldwork which should include a research task based on fieldwork and supportive secondary data can be downloaded from here.